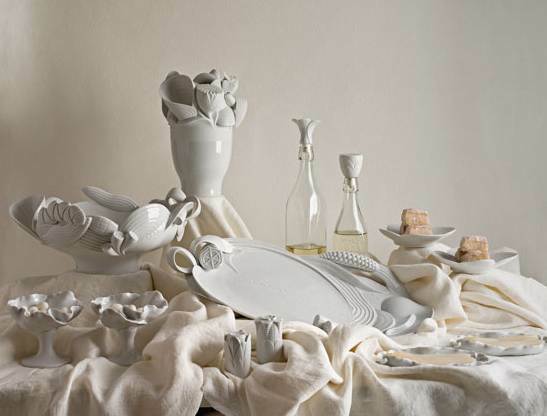 Lladro have added some new pieces to their Naturofantastic Collection. The Naturofantastic Collection features functional and decorative pieces with shapes borrowed from nature to create a stylish dinner service. The Naturofantastic Collection is a personal and imaginative dinner service featuring snack trays, centre pieces, cocktail goblets, appetizer trays, bottle stoppers and more.